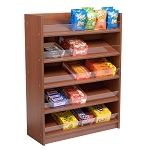 This 4 Tier Metal Candy Display comes with color options for your shelving unit. 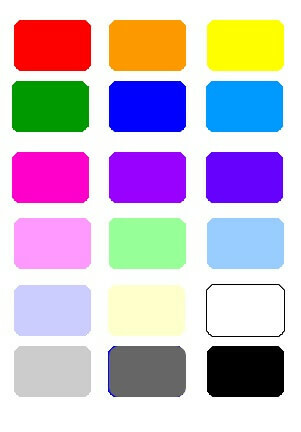 Choose from a variety of colors that best fits your needs or select one that will really stand out. 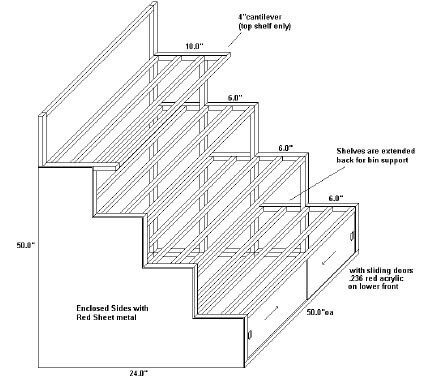 The shelving portion comes with a red powder coated metal frame that is one-inch thick tubing and storage on the bottom with acrylic sliding doors. The overall dimensions of this vessel is 50" wide by 50" high with a depth of about 24". 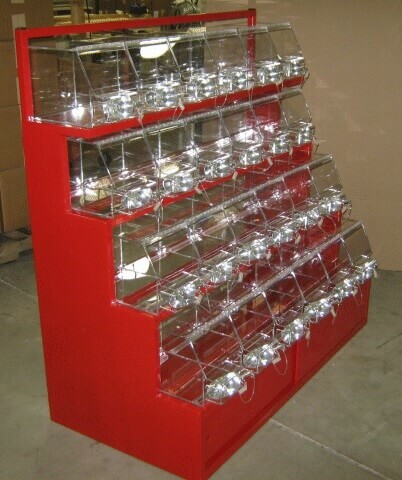 This bulk candy rack comes with 24 clear acrylic candy bins along with the scoop and tether. 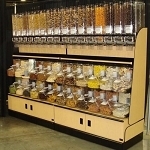 A scoop holder sits directly in front of the candy containers for easy convenience of obtaining the retail products held within the storage vessels. Each bin measures over 7-inches wide, 12-inches deep and over 8-inches tall. 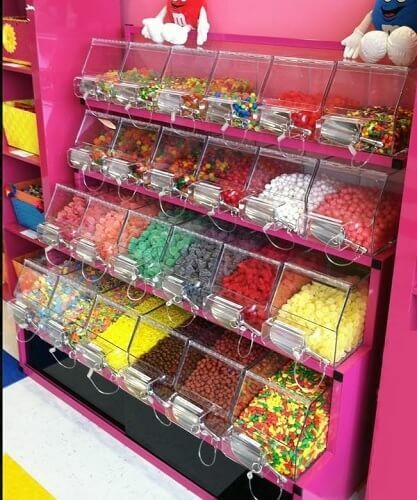 Ready to set up a bulk candy section in your store or update an existing business. Purchase your wholesale candy rack today!